Why is Cancun One of the Best Places to Travel to in Mexico? What’s with all the hype about Cancun? Find out what makes Cancun one of the best places to travel in Mexico, and why you should book your trip today. Cancun is one of the top 10 vacation spots in Mexico, and for good reason. Tourists and travelers have been visiting its picture perfect beaches, sandy shores, and ancient ruins for decades. Chances are, you know someone who has gone to Cancun on vacation or dreams of visiting Cancun in the future. So you might be wondering, what’s so great about Cancun? What’s all the hype about, and is this spot really worth considering for a vacation in Mexico? 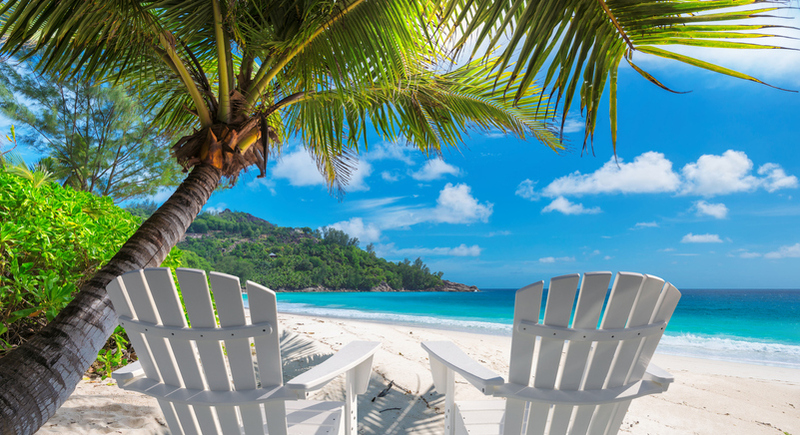 This beautiful beachside paradise with gleaming turquoise water, white sand, and palm trees looks like something you’d see in a movie or on a postcard. People flock from around the world to visit these beaches, but Cancun is more than a beach town. Cancun is also a great jumping off point for excursions to nearby destinations and adventures. Close to ancient ruins, it offers a look at the cultural history of Mexico, alongside a modern city filled with luxurious accommodations, fine dining, and a vibrant nightlife. Are you planning a vacation to Mexico? Cancun is one of the top vacation spots you will want to consider. Let’s take a look at what makes Cancun an option you won’t want to overlook. With some of the best beaches in Mexico, Cancun is the perfect backdrop for relaxation. Lay in the sand, work on your tan, or read the book you always seem too busy to pick up in the hassle of day-to-day life. The warm water makes swimming—or anything from tip-toeing in the surf to jumping the waves—in the ocean inviting to anyone. Beach lovers will be in paradise; even those who don’t usually prefer to swim in the ocean will have a hard time saying no to these beautiful waters. 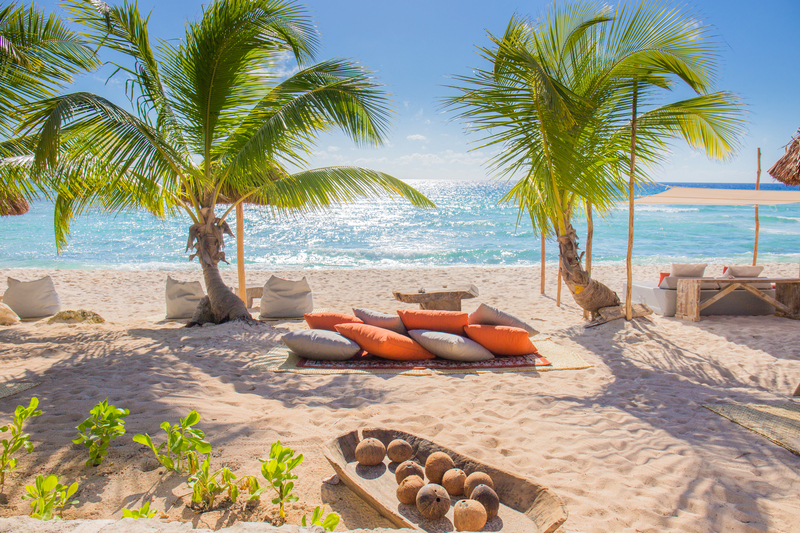 Even if you aren’t staying in a hotel with private beach access, you can enjoy a more secluded seaside experience at an exclusive beach club. The warm ocean waters of Cancun offer more than relaxation. If you’re seeking adventure, sign up for a snorkeling tour to swim amid a Caribbean reef and catch a glimpse of fish, whale sharks, stingrays, and even turtles. Bask in the tropical sunshine, surrounded views of the beach and glimmering water, from atop a paddleboard or inside a kayak. Whether you’re an experienced sailor or want to relax in a private chartered sunset sail, Cancun is the perfect backdrop for a boating or sailing adventure. The cool breeze out on the open ocean is the perfect complement to Cancun’s warm sunshine. Cancun sailing can bring adventure or romance to your vacation—or a bit of both. Feel the thrill of adventure and exploration by flying down a zipline. Soar through tropical canopies or fly down an aquatic zipline into the refreshing waters below. The sensation of flying is sure to get your heart racing. 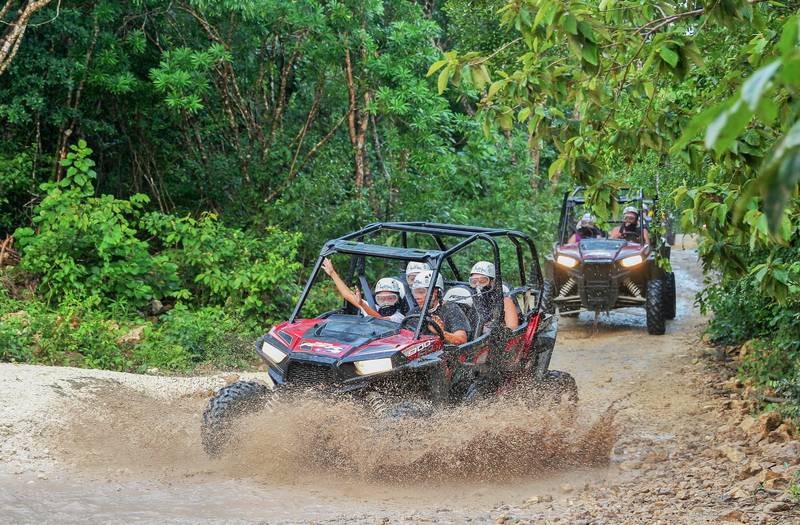 Get off the beaten path—literally—and explore the jungle trails that surround Cancun with an ATV tour. Twists and turns across rugged terrain offer a sense of thrill as you explore this beautiful tropical location. The Yucatan Peninsula is famous for its hidden underground world. Cenotes are sinkholes filled with underground fresh water, forming a network of caves and underground rivers. These landmarks unique to Cancun and the surrounding area are like scenes from another world. They were places of ritual and sacrifice for the ancient Mayans. Today you can relax and explore these underground caves. The ancient city of Tulum has been standing since the 13th century. These majestic and amazingly well-preserved ruins are a testament to the culture and ingenuity of the Mayans. 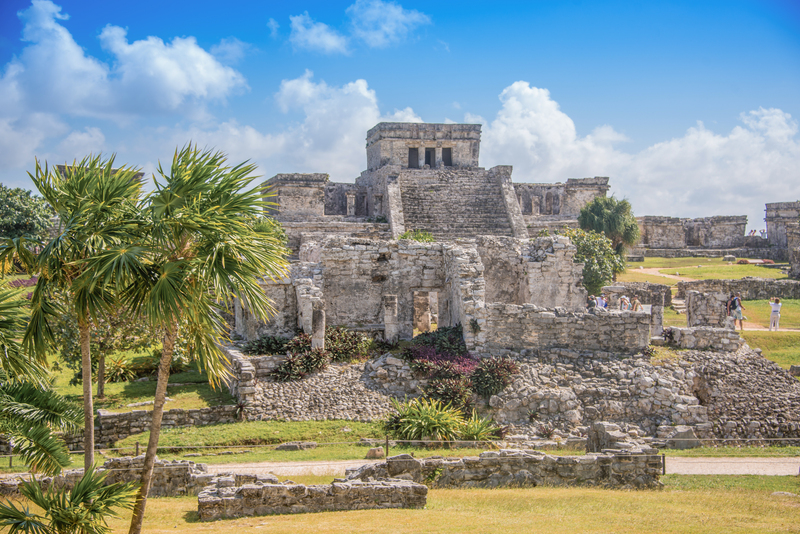 Take an educational tour of Tulum for an up-close look at ancient history available only in Cancun. The Egyptians weren’t the only ancient civilizations to build pyramids. Chichen Itza was a pre-Columbian city with a massive pyramid as its centerpiece. Surviving ruins, including the Temple of Kukulcan, and stone carvings hint at the history and secrets of the Mayan people. Take a tour of Chichen Itza with a knowledgeable guide to get the most out of this unique site. This site is one of the earliest and longest inhabited Mayan cities on the Yucatan Peninsula. Surrounded by the Sian Ka’an Biosphere, a UNESCO World Heritage Site, Muyil offers both historical and natural beauty. A tour through this one-of-a-kind location offers a look into Cancun’s flora and fauna and ancient heritage. Cancun is a treasure trove of natural beauty, the perfect locale for both relaxation and adventure. It’s also a hotspot for city nightlife, including everything from clubbing to fine dining to street tacos. The hotel zone is the center of Cancun’s nightlife, where you can rub shoulders with other vacationers and the amazing and helpful locals. Cancun has earned its reputation for being a destination for spring breakers, bikini contests and keg parties included. If that’s your scene, great! You’ll find parties, clubs, and more catering to spring breakers looking for some fun before class is back in session. If not, avoid this crowd by avoiding a trip in March and April. Even in those months, when the Cancun weather is beautiful and water temperatures heavenly, you can avoid the spring break scene by staying at hotels and visiting restaurants that don’t cater to that crowd. Food is a key feature of any Cancun vacation. Talented chefs have created renowned restaurants suitable for quiet, romantic dinners by the ocean. You can’t beat the local Mexican food, including street tacos, or the availability of fresh-caught seafood from around the Caribbean. You can find restaurants offering everything from simple, traditional fare to cutting-edge fusion cuisine. Kick the evening festivities up a notch by visiting one of Cancun’s amazing clubs for live music, salsa dancing, and the chance to make some new friends. Or join us at the Traveler’s Table for a delicious 5-course meal featuring local cuisine and tequila, mezcal, and wine pairings. If you are looking for a vacation steeped in luxury, Cancun is the spot for you. The venues at this destination offer great accommodating service, and the hotels can’t be beat. Visit a spa for a relaxing massage or healing skin treatment after a long day in the sun. For luxury shopping, check out Luxury Avenue, Kukulcan Palace, and Plaza Caracol. Along with fashion boutiques, you can find shops selling local products such as bracelets, scarves, and Talavera ceramics. Without a doubt, Cancun is one of the best vacation spots in Mexico. No matter your interests or reasons for travel, you won’t be bored on a trip to Cancun. Create the vacation of your dreams by mixing luxury and relaxation with history, outdoor adventure, and stunning views you’ll never forget. A lot of people talk up the virtues of a Cancun vacation, and this stunning destination definitely lives up to all the hype. There are sights and experiences that can’t be matched anywhere else in Mexico. For a relaxing vacation along the best beaches in Mexico, consider Cancun for your next destination. Get the most out of your trip to Cancun by booking tours lead by experienced guides through adventures from snorkeling to ATV riding. A great tour—and tour guide—will offer insider information about the local features and the best way to enjoy your destination spots. Check out our Cancun Adventures tours and book your Cancun tours now!